How about a custom Energy Healing Prescripts Jewelry bracelet?? 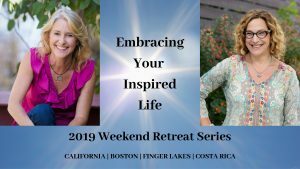 Looking for support and healing that aligns with your current experiences? Want to share Energy Healing support with someone you love? This Custom Energy Healing bracelet option is for you! 3. 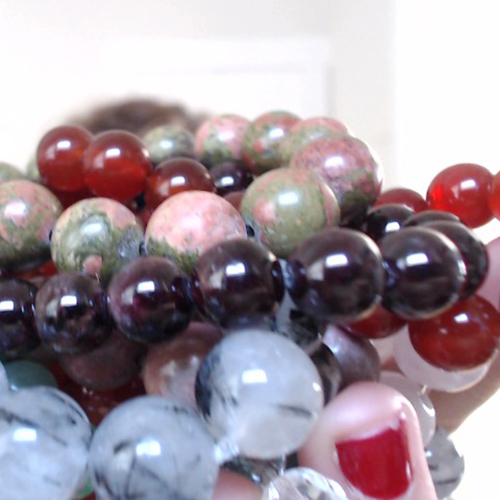 I will intuitively select the crystals and/or gemstones that best meet the needs and result in a custom "prescription"
"I just wanted to give you an update regarding my Amazonite crystal bracelet. I have not been wearing it very long. I think my crystals are working for me. Things that are happening cannot just be coincidence. It is a little bit spooky as you connect the dots. WOW! I am stepping up to speak at my dinner group and speak about my experiences in life. Very Emotional and personal. I just wanted to thank you! I don't know how you do what you do. Or if you awaken something inside. Or the crystals do something....I don't really care the process....... the outcome is Amazing." - Laura G.
These bracelets are not a medical prescription nor is there any medical diagnosis that occurs during either the customization of these bracelets or when purchasing a pre-made bracelet. Consultation service does not constitute nor replace medical advice or assessment. Recommendations for specific types of support are based on energy healing and metaphysical beliefs. "But you don't LOOK like a Medium!" Can I tell you how many times I hear this when I tell people about the work that I do? It makes me giggle, just a little. Not at the person who says it, NOPE, at myself. You see, I have been a reluctant Medium. I remember saying on more occasions that I can count "No way! Not me! I don't want to talk to dead people!" There I was in my business suits everyday, going into the Corporate office, leading teams of people. I was working so hard to LOOK like an executive. There was no way I could ever imagine coming out to people that I had this totally WooWoo side of me. After I quit my Corporate gig, realizing that dressing like an executive (and acting like one for that matter) didn't make the experience enjoyable or fulfilling, I still stayed pretty quiet about the Intuitive and Mediumship work that I did. I had so much self doubt and I worried way too much about what others might think of me. I wondered how people would be able to accept the shift from such a left brained persona to one that was listing waaaaay to the other extreme. I censored what I wrote, what I shared and how I worded things so that I didn't give too much of this side of me away. You know WHY? Because I didn't think I looked like a Medium either! BUT this is also what my clients love about me and honestly, it is what I love about me too! I don't have to LOOK like anyone but me. The gifts that are part of the work that I do can show up in different ways and with many different looks. And so can I! 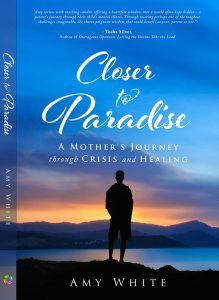 Want a sneak peak into Closer to Paradise: A Mother's Journey through Crisis and Healing? Get your FREE Chapter Download NOW! Thanks for visiting! Let's stay in touch! Amy White Coaching is Not a Substitute for Medical, Legal or Other Advice and is not a substitution for psychological, psychiatric, wellness, therapeutic or other diagnosis, care, counseling, advice, consulting or treatment, or for any medicine. Coaching services and this Site are not a substitute for legal, financial, tax, personnel, personal, religious, spiritual or other types of evaluation, counseling, advice or representation. You should independently assess any decisions, actions or inactions resulting from or relating to the Site or a coaching experience based on medical, psychological, psychiatric, legal, religious, personnel, personal, financial, tax or other advice as applicable. Let's stay in touch. Sign-up now!